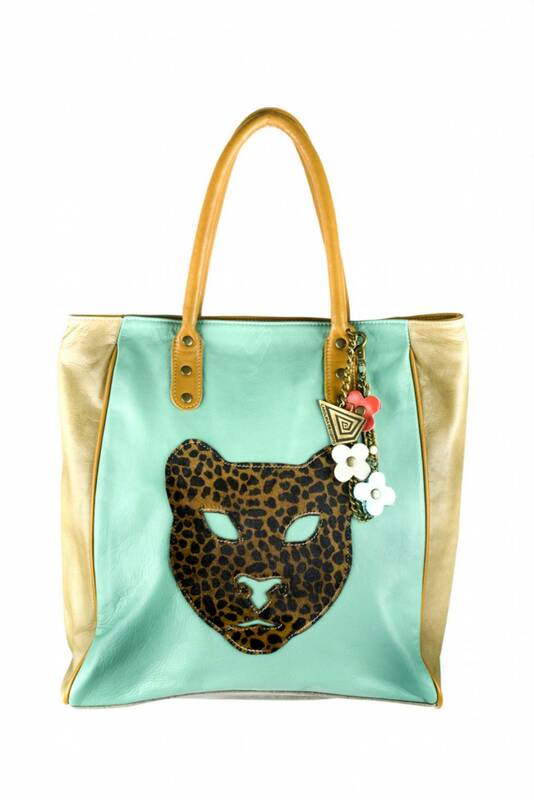 This is a spacious and comfortable shoulder tote bag, with a decorative leopard face in calfskin-animal print in front. Elegant and original. 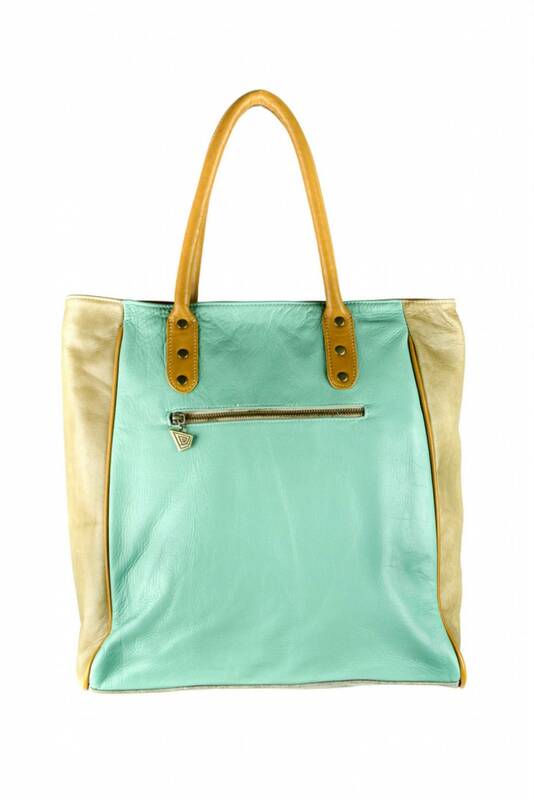 Extra large capacity leather bag. 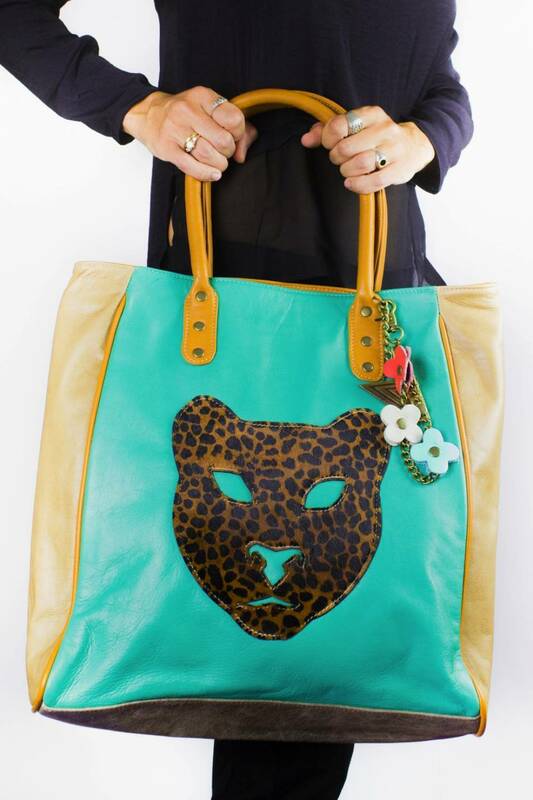 Comes with a handmade tassel with leather flowers. Fully lined with Carolina's designed pattern fabric. This is a 100 % finished top quality, handmade selected bovine leather. - Top zip closure, two pockets ( one inner and one outer zip pocket). - Fixed top handle for shoulder wear. 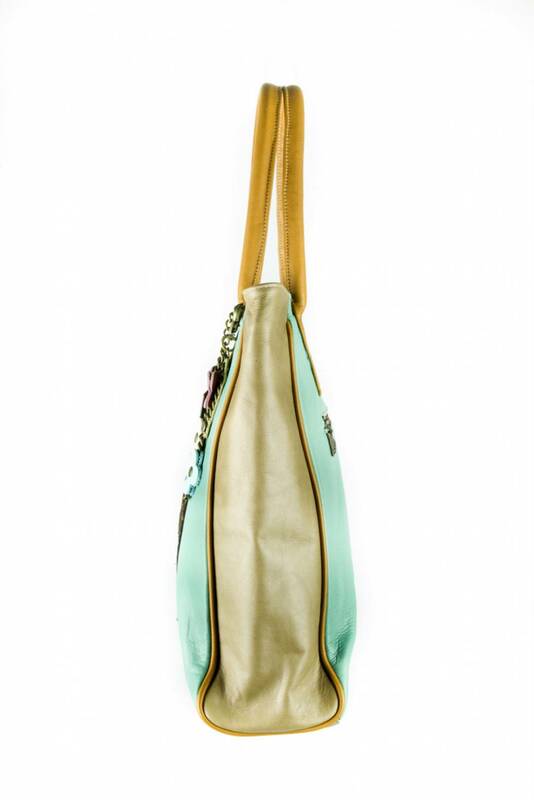 Strap 7"
- Available color: Aqua-turquoise leather in front and back, Leopard face in animal print calfskin hair decoration in front, sides with golden yellow color and brown bottom.Top and handles in mustard yellow leather color.